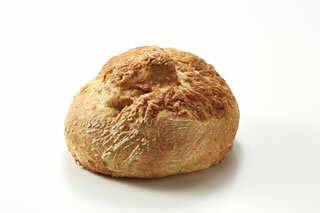 The Asiago cheese is literally bursting out of this boule. 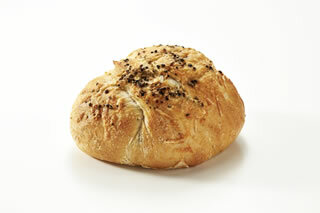 And while the bread looks impressive, the taste is even better. 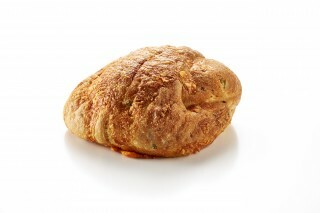 The tangy Asiago cheese is actually layered just under the crust for perfect distribution throughout the loaf. Warm in the oven, or rub with garlic and grill (not Kosher). Fine Parmesan cheese, aged 18-24 months and layered through this loaf, is balanced by the slightly warm taste of cracked black pepper corns. 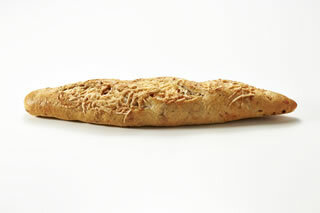 A visually beautiful loaf, it’s ideal with pasta or hors d’oeuvres (not Kosher). Fresh jalapeño peppers give this loaf its delicious spiciness. But that’s just the start. Aged cheddar cheese, layered just under the crust to ensure nice distribution across the loaf, is literally bursting out of this bread (not Kosher). 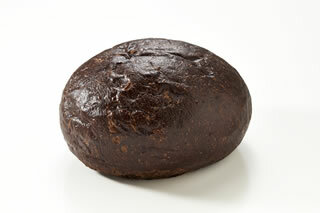 This beautiful soft pumpernickel gets invited to lots of parties. Its deep, round shape makes it perfect for use as a dip bowl for spinach dips, always popular for holidays and sporting events. 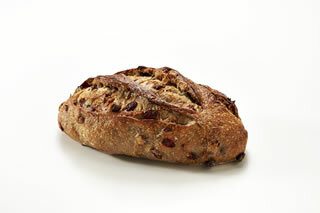 Each loaf is hand-formed by our Artisan bakers (Kosher). This is a truly unique loaf of bread. It is made with pureed pumpkin and special blend of spices that gives it the nostalgic aroma of pumpkin pie. The pumpkin seeds inside and out give it a wonderful crunch as well as extra nutritional value. Our pumpkin bread will be a delightful accompaniment to your autumn meal. Serve warm for maximum impact (Kosher). 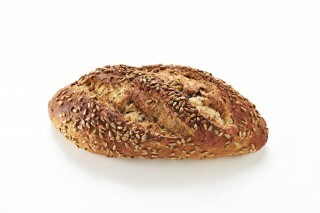 A delicious and beautiful loaf featuring sprouted whole grain flour and tasty honey. 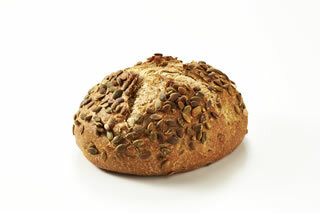 Using sprouted grain makes the bread richer in vitamins and easier to digest. Each hand-formed loaf is rolled in sunflower seeds before baking. It’s a favorite here. We call it SunnyHunny (Kosher)!